The BCN Homes team members have a diverse portfolio of expertise and a common focus on one thing: making your building experience positive and memorable. Brian and Christine Normile established BCN Enterprises, LLC, now known as BCN Homes in 1999. Brian and Chris have lived in Arlington for over 20 years and their company was conceived as a result of searching for their first “fixer- upper”. Since that renovation of a Cape Cod in the Lyon Village neighborhood, BCN has transformed more than 100 properties in North Arlington alone. 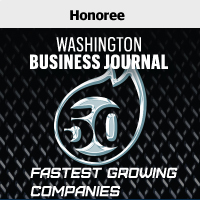 Over this time, BCN has won numerous awards, including being part of the Washington Business Journal’s list of the Fastest 50 Growing Companies for two consecutive years. Colin joined the BCN Homes team in 2002. He manages the Project Construction Managers and Client Services Managers on all BCN Homes projects, which includes design, estimating, construction, and customer satisfaction for BCN Homes. In addition, he works closely with clients to schedule and implement the selections for their home and ensure timely delivery and high quality. BCN Homes has been named a Washington Business Journal Fastest Growing Company Honoree for 2014.